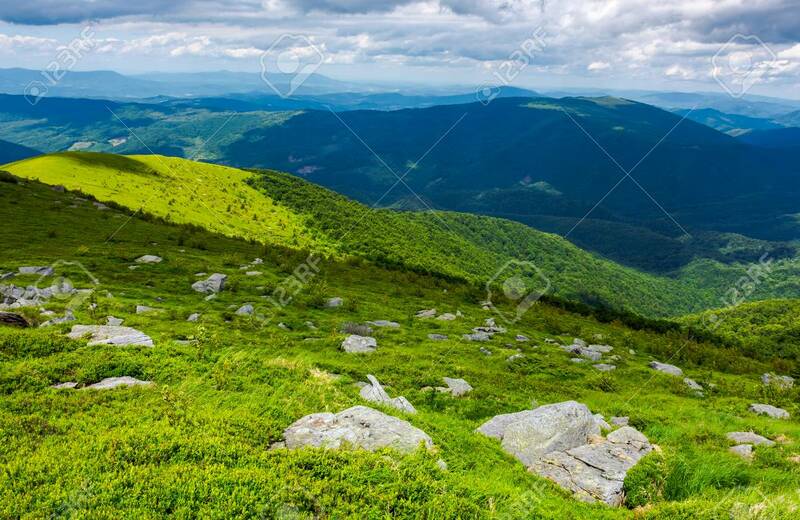 Grassy Slope With Rocks On High Altitude In Mountains. Beautiful.. Stock Photo, Picture And Royalty Free Image. Image 105319895.